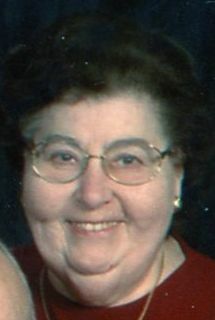 Franklin – Doris J. Menges, 89, of Franklin and formerly of Auburn, died Thursday, April 4, 2019, at the Indiana Masonic Home in Franklin. She was born June 15, 1929 in Butler to James B. and Essie E. (Utter) Nodine. Doris was an elementary school teacher for 35 years with the Prairie Heights School Corp., retiring in 1987. She was a member of Mount Pleasant United Methodist Church. She was also a member of the Retired Teachers Association and NEA (National Education Association). She was a past member of the Eastern Star. Doris married Thain P. Menges on March 11, 1956, and he passed away January 30, 2013. Surviving are a daughter and two sons, Karen J. Creager, and Mark Dieckman of Indianapolis, Nicky T. and Chris Menges of Auburn and Roger B. Menges of Auburn; seven grandchildren, Chad (Stacie) Creager, Heather Stanley, Crystal (Bobby) Pulley, Barry (Andrea) Menges, Shay (Kocoa) Menges, Jessica Menges and Jessica Menges; 13 great grandchildren, Tori, Caleb, and Tristen Creager, McKenna and Jaxson Sutton, Jazmyn Stanley, Chase, Kyle and Keegan Pulley, Tenley, Anisten and Maitlynn Menges and Kyndra Shipley; a sister Martha E. Grubb. She was preceded in death by her parents; husband; and a sister and two brothers-in-laws, Beverly R. and Chuck W. Rosenbury and Larry Grubb. Services will be 11 a.m. Tuesday, April 9, 2019, at Feller and Clark Funeral Home, 1860 Center Street, Auburn with burial to follow in Woodlawn Cemetery in Auburn. Calling is Monday from 2 to 7 p.m. at the funeral home. Preferred memorials can be directed to Mount Pleasant Methodist Church.